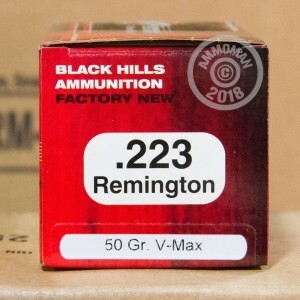 Black Hills manufactures all the 5.56 ammo for the US Military as well as more cowboy calibers than anyone else. With their prowess in making M-16 type rounds, it's safe to assume that when they're making 223 rounds, they know exactly what they're doing. 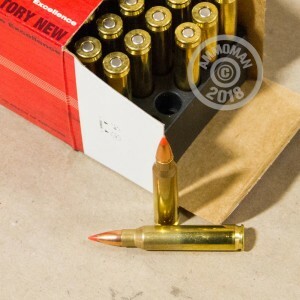 When Black Hills made the decision to use Hornady V-Max bullets, they did not make a mistake. V-Max are the cream of the crop in trajectory, impact, and expansion. 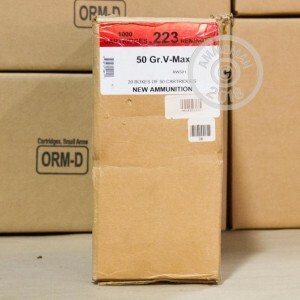 You can't go wrong with Black Hills ammo, and when it comes to V-Max, the same applies. Both manufacturers are top of the line. Pick up a 50 round box today, or get $99 worth or more and get free shipping!